Mountain hiking in Uganda has become a craze of recent and you should join the wagon. Uganda and parts of Africa thousands of years ago experienced a lot of volcanic activity along the East African Rift Valley. This left a miscellany of high peaks and beautiful scenery. Compared to other hiking destinations in Africa, the beautiful warm weather and spectacular scenery makes mountain hiking in Uganda a unique and most rewarding experience of all. There are hiking trails that accommodate even the inexperienced mountain hikers while the experienced hikers will meet perhaps their most exiting challenge in climbing to the snow-capped peaks of the Rwenzori Mountains. We plan and operate mountain hiking trips to top hiking spots in Uganda. Our mountain hiking are well trained and possess years of experience to give you an experience you expect to have. The Rwenzori mountains are found along the border of Uganda and the Democratic Republic of Congo, covering a length of 120km and width of 65km. They have Africa’s third highest mountain, Mt. Stanley that stands at 5109m, and are also one of the only three on the continent with permanently snow capped peaks. The Rwenzoris support an array of rare and endemic wildlife, stunning glaciers, beautiful waterfalls, rivers and lakes. Basing on the stunning beauty and block type formation, the Rwenzori were ranked the best in Africa and ninth in the world for mountain climbing and hiking adventures . There are a number of trails travelers can take to for exciting treks into the mountain. 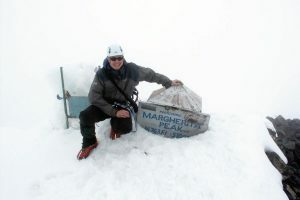 The longest trail, called the Central Circuit, is 8 days (7 nights) and includes the chance to climb to the highest peak of Margherita for those who can manage. 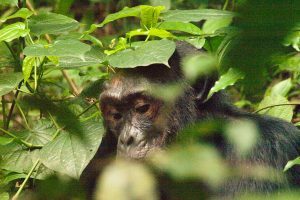 There other shorter trails that offer easier treks such as the 3 day Mahoma loop, 1 day Chimpanzee trail and 1 day Kilembe trail. Mountain Elgon, 4321m, lies in eastern Uganda on the border with Kenya, its highest peak Wagagai situated on the Ugandan side. It was one time, thousands of years ago, Africa’s highest mountain but was gradually eroded at the peak reducing it to the current height of 4321m – 8th in Africa, 4th in East Africa. The mountain also possesses the the largest caldera in the world measuring 50km by 80km. Climbing Mt. Elgon is not one of simply targeting to reach the summit, it is more about discovering the fascinating wildlife along the slopes. The varied vegetation zones harbor plenty of wildlife that you may encounter during the trek. There are also fascinating features such as caves, water pools, falls, and wonderful scenery. There are two major trails that lead to the peaks, taking 4 to 5 days. One is called the Sasa trail (Budadiri trail head), accessible from Mbale, is the more direct to the peaks and goes through the largest area of bamboo forest. 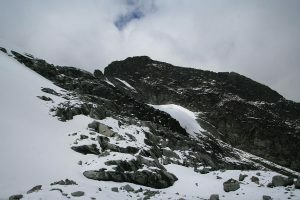 The second trail is called Piswa and is known to be a more gentle hike than the Sasa. The Sipi Falls is a set of three waterfalls (85m, 75m and 100m) situated along the foothills of Mountain Elgon. They arguably are the most beautiful waterfalls in Uganda and have become one of the iconic attractions of the eastern region. Sipi, easily accessible from Kampala, has become very popular for day hikes. The trek to visit all the three waterfalls covers a trail of about 7km and on average takes up to 3 hours to complete. Uganda shares 3 of the main 8 Virunga mountain volcanoes. The 3 are located in southwestern Uganda along the border with Rwanda and the Democratic Republic of Congo. They offer excellent day hikes filled with some of the best views in Africa. The Virungas harbor lots of unique and rare wildlife which you have chance of encountering such as the Mountain Gorillas, Golden Monkeys, endemic birds and mountain vegetation. It starts the chain of the Virungas, situated on the Rwanda – Uganda border. It is a longer hike to the summit taking about 5 hours which makes it tough, and coming down takes roughly the same. It has a small crater lake at the summit which can easily circumnavigated to get access to views across the Virunga ranges. This is a much smaller mountain of the three, situated between Muhavura and Sabinyo, but closer to former. It is a short and easier hike. It is bigger crater lake at the summit which isn’t so easy to circumnavigate to gain better views. This is situated on the common border of the three countries Uganda, Rwanda and Democratic Republic of Congo. It is the most challenging of the three because of a more rugged terrain with many craters, but most fun and has the best views of the Virungas stretching across all the three countries. It has three peaks which look like three spaced teeth, hence the local name Sabinyo which translates “Old Man’s Teeth”. Designed around you – Whether you have a couple of weeks or a couple of months, we’ll build a bespoke trip to suit you. All our Uganda safaris and tour holidays can be planned to include places you want to visit and experiences you’ve longed to try. We can offer suggestions from our own experiences travelling all over Uganda too.